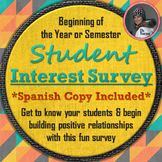 This is a simple student interest survey to get to know your students at the being of the school year. 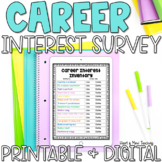 This is a student interest survey. 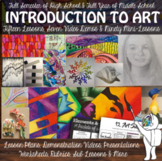 It is geared toward upper elementary students, but it is a word document so you can alter it to fit your needs. Great for the beginning of the year! This survey was created to get a student's basic attitude and feelings towards books of all kinds to include fiction, non-fiction, and content area textbooks. 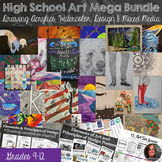 It is geared towards elementary students.It is one of the back to school assessments I include in student's portfolio or data binder. 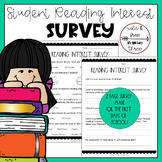 Reading interest surveys are marvelous tools for teachers to use in order to assess student interests and attitudes towards reading. 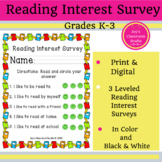 Gauge student reading interests with this colorful, engaging, two-page survey and start the school year by getting to know your students better! 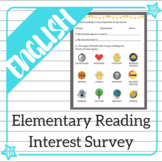 This survey is great for elementary school students! 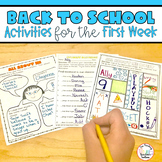 It helps you to learn what type of books they like as well as what subjects in school. Give this to your students to facilitate choosing appropriate texts for them!